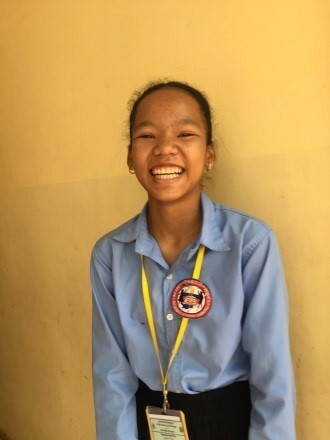 Theara is a sweet girl who is in the 8th grade. She loves to study Biology and hopes to become a Nurse one day. She loves to study, read and play and her favorite color is red! Interested in Parent-Partnering Theara? Contact us! Bileg Solid Rock Children’s Home is our original Partner Orphanage and is located in Kampong Thom Province. Bileg is where our founder Jay first met “Susan” in 2013. The Home is run by Philippine missionaries, Dr. and Mrs. Castro, who have also built a school, hospital, and nursing school on the site. Theara is one of 24 orphans who lives at the center.